Today morning, most of the tourist trade related people has gone on strike on Friday,16 November 2018 in Ranthambore National Park, Rajasthan, India. 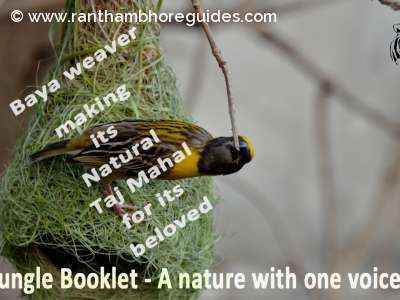 All hoteliers, local travel agents, local vehicle-owners and drivers and nature guides sat on the strike in the morning, at Ranthambore National Park. Due to the strike, most of the tourists in Ranthambore were not able to take morning safari and had to stay in their hotels. It is a definite strike against the Additional Principal Chief Conservator of forests, Wildlife and Wildlife Warden, Jaipur- G.Vishwanath Reddy and tourism dfo Ajit Saxena. The Striking members said that they are very rude and arrogant persons. Because of their mismanagement, they have to sit on Strike! From the starting the new session, in every safari, many visitors go back to hotels because of no safari tickets. The Safari cost is too high in Ranthambhore. The new online safari system that was made by G.V. Reddy was totally flop and he does not want to hear any word against it. So, many times, local people meet with him on this matter, but no result.Tatkal (current) booking system is too costly, so every tourist can't afford it. Most of time Tatkal(current) booking safari booking is served only for VVIPs people from back door under the table. Normal tourist can't meet at booking with tourism dfo, Ajit Saxena, because he never opens the door for them. Most of time, tourists are playing knocking -knocking at the door of the booking office but the officers never open the door for them. It shows that they are very poor officers in Booking office at Ranthambhore now. Due to this arrogant, behavior, in last week, one tourist officer was beaten in the room by the guests at Shilpgram Booking officers. 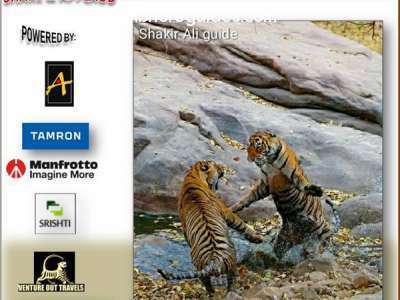 This incident proves that the visitors were so disappointed by the flop booking system of Ranthambore. This type of mismanagement by the officers shows that they are very rude and arrogant persons. They does not deserve for their post and jobs . They must be removed from their post first and set inquiry against them. 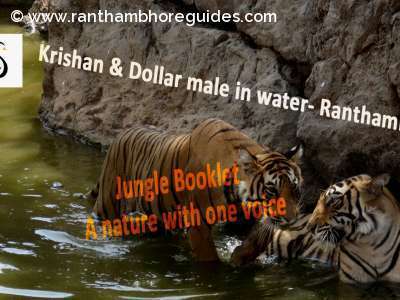 Then, Ranthambore might get right solution. Nori and Gori playing fighting fighting !